Charles Tracy is the Head of Education at the Institute of Physics. Charles started teaching in Hertfordshire in 1987. He worked as a physics teacher, head of physics, head of science and an adviser, and joined the Institute in 2006. Over the years, he has written textbooks, been involved in curriculum development and developed websites. 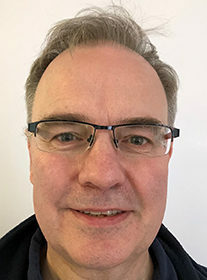 He has led many CPD sessions for teachers and has particular interests in the teaching of energy and the notion of difficulty; he has written on both topics. He now runs the Institute’s programmatic and policy work in education, overseeing a number of major national projects – including the Stimulating Physics Network, Opening Doors and the teacher training scholarships.